Apart from the Apple iPad Air, the Cupertino company has launched the refreshed iPad Mini, which has got quite a refresh when compared to the iPad Air which didn’t show any real improvements except the processor. The new iPad Mini comes with the same screen size as the first gen, but it comes with the retina display, and the internal powering that is provided in the new iPad Mini is similar to the other flagship announcements of this year – iPhone 5S and the iPad Air. The iPad Mini was the first mini version tablet from Apple last year, and a refresh for that was much needed, and Apple did that with some good inclusions. 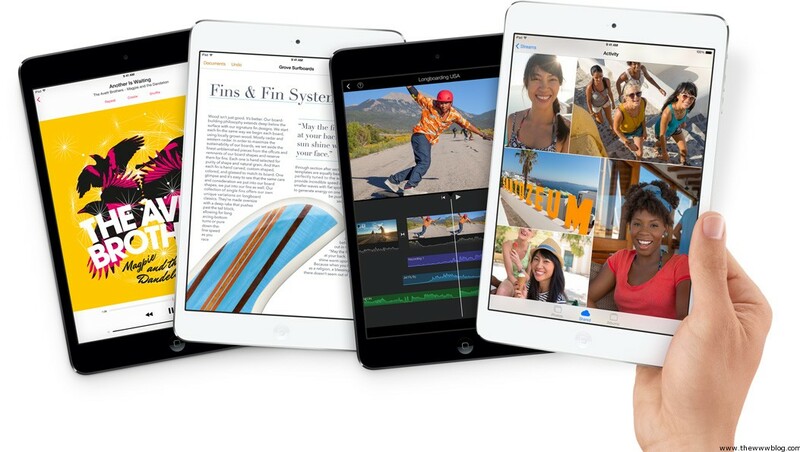 The iPad Mini 2 comes with the retina display under the 7.9-inch screen, and the resolution is 2048 x 1536 pixels. The A7 64-bit chipset from Apple is a huge upgrade, because the first gen one had an A5 chipset, which was a part of the iPhone 4S, thus the A7 should bring some real good improvement in the performance, and Apple claims that the new version would have four times faster CPU and eight times faster graphics performance when compared to the previous gen iPad Mini. This is coming along with the M7 motion coprocessor and the iPad Mini would be running the iOS 7 (right now iOS 7.0.3) which is the current iOS version from Apple. Similar to the iPad Air, there are two antennas and the MIMO technology which would help in deliver twice the Wi-Fi performance to that of the first gen. The cameras are the same, with the 5-megapixel iSight camera on the rear side, which can capture videos of 1080p Full HD resolution, and there is a little improved 1.2-megapixel FaceTime camera on the front. Apple has come up with the new Smart Covers for both the iPad Air and the iPad Mini, and the covers are quite a tradition now for the Apple tablets. Check out the specifications of the iPad Mini below. The iPad Mini 2 would be available on the same day when the iPad Air is going to be launched – November 1st. The pricing depends on the connectivity and storage options.